The PS4 is running its best year to date with the list of record shattering games released in 2018. It’s no easy task selecting the best game on this platform. That’s why we’ve listed our top picks for PS4 games this holiday season so you don’t have to sweat it. The second installment of Rockstar’s Red Dead Redemption finally found its way onto the PS4. 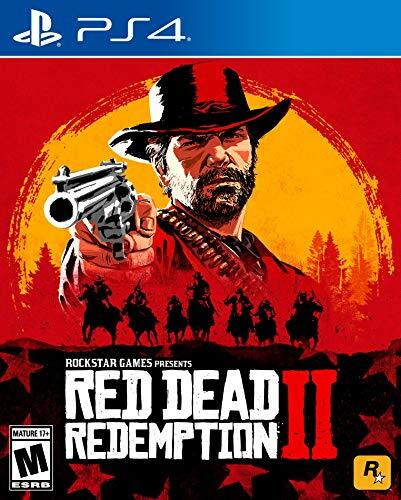 A new Rockstar game comes with high expectations and these are definitely fulfilled with RDR2. A ‘GTA’ on horses’ doesn’t justify describing what a great adventure this game really is. If there’s only one game you can buy from this list, this is the one. No, Bethesda didn’t just skip past 71 major releases in their Fallout franchise. Fallout 76 is an online prequel taking place in the Fallout 4 universe. You delve into the storyline, located in post-apocalyptic West-Virginia with other players online. That means every human you encounter in the game is controlled by an actual human. You can take out strong monsters with a team or build a settlement in a world that’s four times bigger than Fallout 4’s. Released in April, the latest God of War title for the PS4, simply called ‘God of War’ went on to become the fastest selling exclusive PS4 title (until the last game in our list), selling an impressive 3,1 million units in the first 3 days after release. God of War can not be compared to its predecessors. It’s a well balanced game, with a moving storyline and a lot to discover. Spider-Man has probably been the most successful comic book hero in the game console world. And that’s no surprise really. From the widely popular PS2 game onwards the freedom to web-sling across New York city and beat up bad guys has always been an appealing factor. This latest game puts all the greatest from Spidey into a single experience. The best web-slinging feeling, deepest fighting system in the most real-life New York ever created in a video game. This one’s a must-have for PlayStation 4 owners.